This creamy mashed parsnips recipe is slightly sweet, low carb, and rich flavor. Serve with cornbread and beef stew to make an inexpensive yet festive meal for the family. 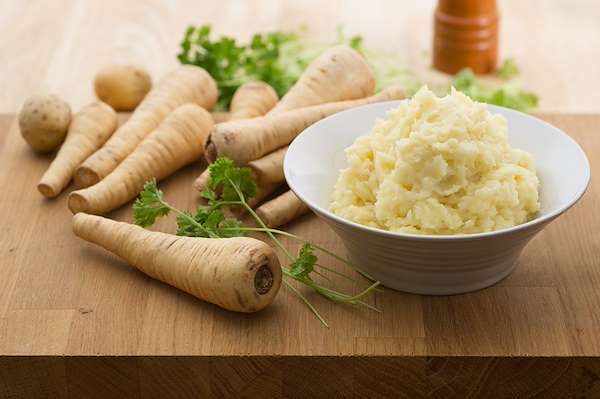 RecipeSavants.com This creamy mashed parsnips recipe is slightly sweet, low carb, and rich flavor. Serve with cornbread and beef stew to make an inexpensive yet festive meal for the family. Smart Recipes, American Recipes, Dairy Recipes, Recipes Dairy American Creamy Mashed Parsnips PT45M Serves 8 Ingredients: 5 Cups Whole Milk 10 Parsnips 1 Teaspoon Salt 0.25 Cup Butter 1 Teaspoon Dried Thyme 0.5 Teaspoon Freshly Ground Black Pepper In a large pan, over medium meat, add milk and heat for 4-5 minutes or warmed through. Stir in parsnips and salt. Cook covered for 25-30 minutes. Drain parsnips well, reserving milk in a bowl. In the same pan, add cooked parsnips, 1 cup of reserved warm milk, butter, thyme, and black pepper. With a hand mixer, blend until smooth. If you enjoy this easy side dish, you'll love these fresh ideas! 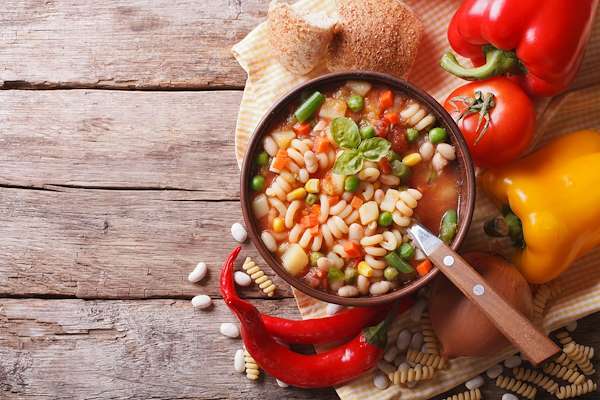 This rich and hearty minestrone soup is full of vegetables, macaroni and Asiago cheese. It comes together in just under an hour, and is a perfect dish for a fast weeknight meal. 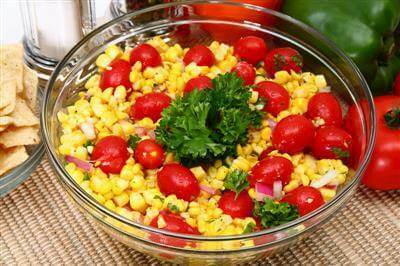 Combine cucumber, cherry tomatoes and fresh corn with a tangy-sweet aromatic dressing in this simple summer salad, that is as refreshing as it is healthy. Pair with homemade tortilla chips, and a garnish of fresh lime wedges. 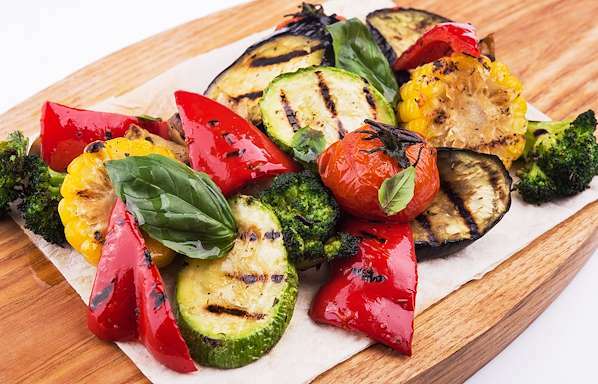 When you toss vegetables on the grill, they get an attractive char and a complex, smoky flavor. In this lovely salad, we combine asparagus, cherry tomatoes, red onion slices, and bell pepper slices in a little olive oil. After they grill to a tender yet crisp perfection, they are drizzled with a homemade balsamic vinaigrette. These skewers impart a strong Asian flavor because of the tasty marinade comprising of sriracha, sesame oil and soy sauce. For the best results, marinate the tofu overnight.